The Crumpler family – Jooveta, Caprice and Baby – and their wacky neighbors inhabit one of the smallest trailer parks in Texas. When the nearby town of Tugaloo is determined to annex them, rollicking mayhem escalates as the residents attempt to secede from Texas, discover a traitor in their midst, and turn the tables in a surprising and side-splitting finale. This show is double the fun, double the joy, and has audiences doubled over with laughter! *Please note that the Saturday, February 4 performance is at 2 pm. p style=”text-align: center;”>Produced by special arrangement with Dramatists Play Service, Inc. Sponsored by Brighthouse Networks, Inc.
West Coast Players will hold auditions for The Lyons by Nicky Silver on Sunday and Monday January 15 and 16, 2017 at 7 p.m. at the theatre. Directed by Ron Zietz. Production dates are March 3 – 19 (3 weekends). Ben Lyons is in a hospital where he is dying from cancer. His family gathers around him. They are his wife, Rita, and grown children, Curtis Lyons and Lisa Lyons. Also present is his nurse. Ben is no longer constrained by manners and says whatever he wishes, including expletives. Rita, trapped in a 40-year loveless marriage, now thinks of the future without Ben and plans to re-decorate. Lisa is an alcoholic, who has left an abusive marriage; Curtis, homosexual, has had little to do with his father, who is homophobic. In a getaway from the hospital, Curtis looks at an apartment with the help of an actor moonlighting as a real estate agent. The play is simultaneously heartbreaking and hilarious. Director Ron Zietz will be casting 6 actors for this comedy, 3 men and 3 women. Ben Lyons— late 70’s, a dying man; an angry, emotionally remote man; riddled with cancer and expected to expire at any moment; although he is at the end of his life, he is not without energy. Rita Lyons— 60’s – 70’s, she is self-involved, acts as if nothing unusual is happening, as she nonchalantly leafs through decorator magazines and asks her husband what style he’d like for the new living room. Lisa Lyons— late 30’s, their daughter; a recovering alcoholic struggling with two small sons and an abusive ex-husband. Curtis Lyons— 30’s, their son; a gay man whose relationship with the unseen Peter appears to be the only happy bond in the family, but we later learn it’s an elaborate sham. Friday and Saturday performances at 8 p.m.
Sunday matinees at 2 p.m. Please note: this is an extra show added to our schedule. It was not included in season ticket subscriptions. 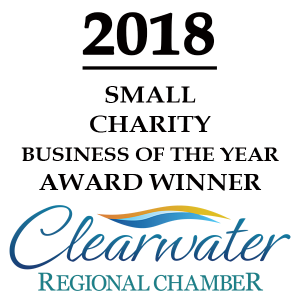 We are located at 21905 US 19 North, Clearwater, FL. Directions to the theatre can be found here. The next production in our Staged Reading Project is Eleemosynary, by Lee Blessing, directed by Graham Jones. This performance will be held Saturday, October 22, 2016 at 8 p.m. at the West Coast Players Theatre. Admission will be reserved seating at $6 per ticket. Eleemosynary won the prestigious Los Angeles Drama Critics Circle Award in 1997. Sensitive and probing, this masterful play examines the subtle and often perilous relationship between three remarkable women: a young girl, her mother, and her grandmother. In this poignant and mature study of familial relationships, Blessing highlights the human need for connection and forgiveness. West Coast Players will hold auditions for Doublewide, Texas by Jessie Jones, Nicholas Hope, and Jamie Wooten on Sunday, October 23 and Monday, October 24, 2016 at 7 p.m. at the theatre. Directed by Susan Demers. Production dates are January 12 – February 5 (4 weekends). By Hope, Jones, and Wooten, authors of The Red Velvet Cake Wars, Rex’s Exes, The Last Roundup of the Guacamole Queens, and Always a Bridesmaid. Joveeta Crumpler (F, 40s) — vivacious and driven, she has had it up to here, having been passed over again for a promotion at work. Caprice Crumpler (F, 60-70) — Joveeta’s feisty mother who loves to drink and is perhaps too young for her age. Norwayne “Baby” Crumpler (M, 40s) — Joveeta’s good ol’ boy brother who is taking his participation in a womanless beauty pageant way too seriously. Big Ethel Satterwhite (F, 60-70) — nurse at the Stairway To Heaven Retirement Village. She’s nobody’s fool but a fool at heart. Geogia Dean Rudd (F, 40s) — ball of fire, owns a diner, takes in every stray animal she comes across. Lark Barken (F, 20s) — baby on the way and down on her luck, looking for a job and a place to stay. Haywood Sloggett (M, 70s) — curmudgeon who lives across the road from the Crumplers and loathes their “trailer-trash” ways. Lomax Tanner (M, 40s) — officious city manager. The annual Suncoast Theater Awards banquet will take place on Sunday, Oct 16, 2016 at the Matheos Hall of the Holy Trinity Greek Orthodox Church at 409 Old Coachman Road in Clearwater. The doors open at 6 pm and the program starts at 7. Admission includes heavy hors d’oeuvres and an evening of fine entertainment. Tickets are $35. 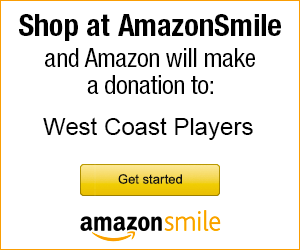 Order through us if you’d like to sit at a West Coast Players table. Please write “STAR Awards” in the memo field of your check. Purchase your tickets in purchase at our box office during a performance of Irma Vep. Please note that payment must be received no later than September 9. If you have any special requests for seating, please contact Rosalyn Savel, levasrd@yahoo.com. For all of the subscribers to the Grapevine, please fill out your choices and mail them back as quickly as possible. If anyone wishes to subscribe to the Grapevine in order to vote for your favorites, a subscription request must be submitted no later than August 15. We hope many of you plan to attend and support West Coast Players, spend time with old friends and maybe make some new ones. Winner of four Tony Awards and the Outer Critics Circle award for outstanding play, this darkly comic tale introduces Maureen Folan, a plain and lonely spinster in her early forties, and Mag, her devilishly manipulative, aging mother. Mag’s interference in Maureen’s first and potentially last loving relationship sets in motion a train of events that is as gothically funny as it is horrific. p style=”text-align: center;”>Produced by special arrangement with Samuel French, Inc.
West Coast Players will hold auditions for A Nice Family Gathering by Phil Olson on Sunday, September 11 and Monday, September 12, 2016 at 7 p.m. at the theatre. Director Mary Kay Cyrus will be casting 7 actors (20s – 70s) for this Lundeen Thanksgiving Family Reunion. Auditions will be cold readings from the script. No performers paid. Production dates are November 4 – 20, 2016. Play Synopsis: A Nice Family Gathering is a story about a man who loved his wife so much, he almost told her. It’s Thanksgiving Day and the first family gathering at the Lundeen household since the Patriarch died. At the gathering, Dad comes back as a ghost with a mission; to tell his wife he loved her, something he neglected to tell her while he was alive. The problem is, she can’t hear or see him. The trouble really begins when Mom invites a date for dinner. At Mandacrest Estate, Lord Edgar, an Egyptologist, is still mourning the loss of his first wife, Irma Vep, when his second wife, Lady Enid, is attacked by a vampire. Edgar seeks answers in an Egyptian tomb, briefly resurrecting the mummy of an Egyptian princess and leading to a hunt for the alleged perpetrator – a werewolf! Come see how this hilarious spoof of Gothic melodramas ends.